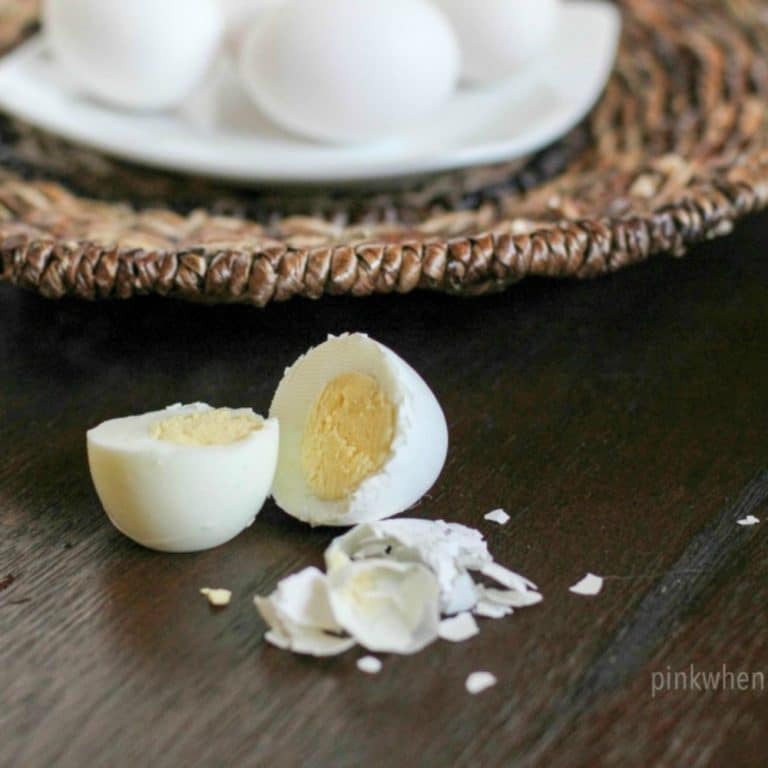 Have you ever tried to make the perfect boiled egg and something just didn’t turn out as it should? I know when I was growing up I would try different ways to make the perfect boiled egg and it never really turned out well for me. 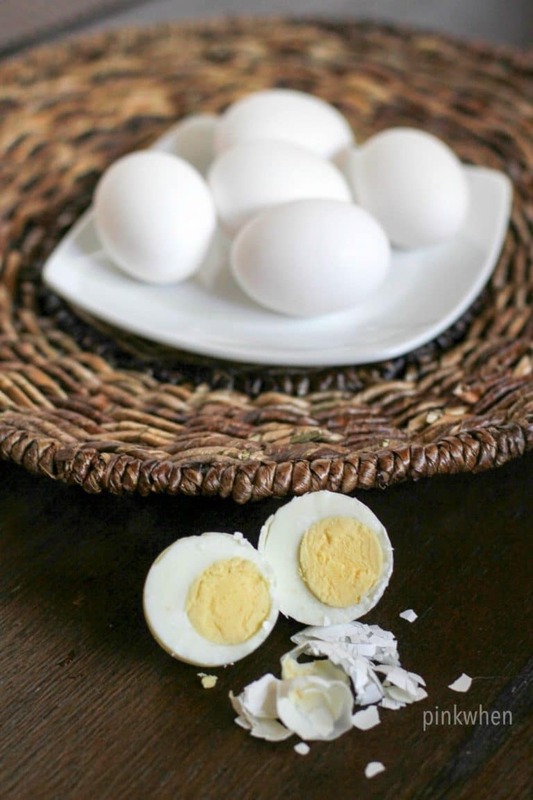 For me, the perfect boiled egg is the completely cooked egg through and through. I love how simple this is, and there is no guess work involved. Not to mention, it is literally just ONE simple step. Making the perfect boiled egg really did “elude” me for a long time. I never could get it JUST right. My mom always taught me to add salt to the water, allow the water to come to a boil, place the eggs into the boiling water and allow them to boil for ten minutes. After ten minutes, remove the pot from the heat and place into the sink where I would drain all of the hot water and then add cold water and ice cubes. ???? Doesn’t that sound like a lot to you?? It did to me as well. Not to mention, my eggs would always “leak” through the shell with this method and make a frothy boiling water. Years later when I moved out and got married, I finally had my own little version of the perfect boiled egg. You see, you don’t have to do all of those steps above. They worked for my mom, but for some reason they never worked for me. Until I did something a little different. 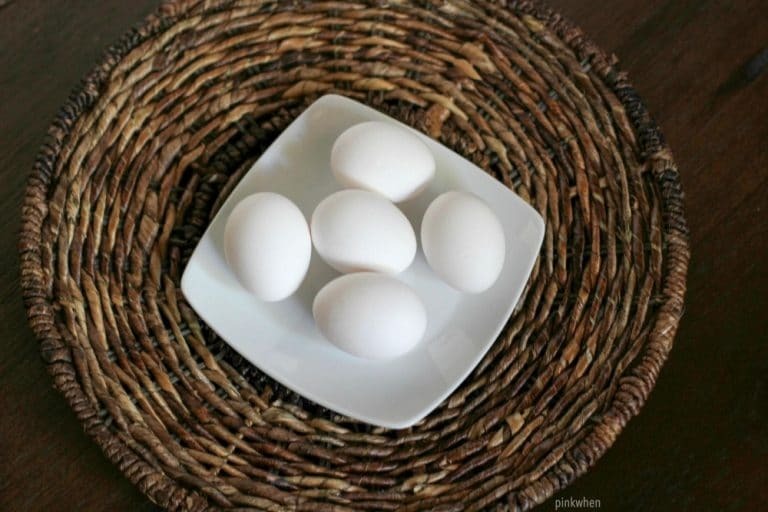 Here is my simple trick to the perfectly boiled egg. I place my water in the pot, add the eggs, place on the stove top, turn the heat on high, and set a timer for 20 minutes. BOOM. No salt. No boiling the water first. When the twenty minutes is up I remove the pot from the heat, pour off the hot water, and pour a little cold water over the eggs so I can immediately begin to peel them. No ice. No waiting. And they peel PERFECTLY. My one simple step is literally setting a 20 minute timer. EASY. How did I come up with this? It’s called sheer and absolute laziness. (Hey, I am all about honesty these days.) I gave up on trying to make the perfect boiled egg and decided I would just do it like this one day. I didn’t feel like adding salt, or adding eggs to boiling water, or draining and adding ice. I wanted simple, and this is what I received. 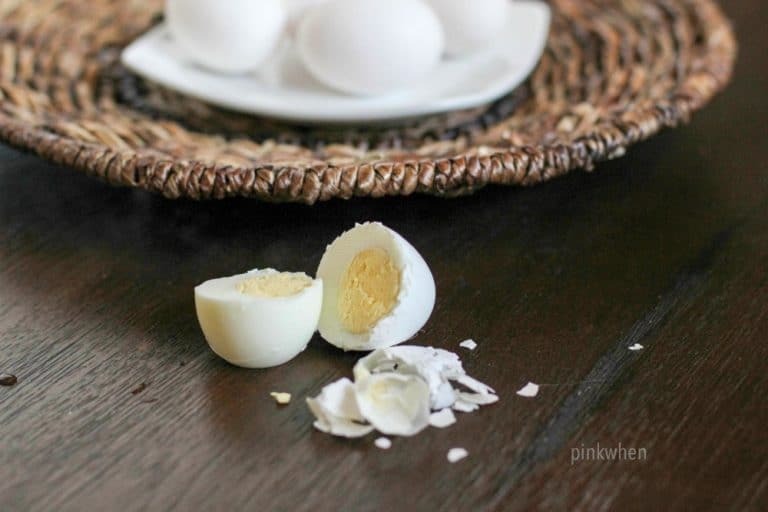 So, if you are even in the need to make a perfectly boiled egg and don’t want to do all of those crazy steps my mom tried to teach me, try the easy method above and relish the delight of having a perfect boiled egg in one simple step. If you are looking for more easy and healthy recipes, you can find them all under the Simple Fit Forty section of the blog. If you are looking to get fit and eat healthier, consider joining our secret Facebook group, the Simple Fit Forty Lifestyle group. It’s a community of ladies like us who are looking to get and STAY fit and healthy. The only problem is, they look like they didn’t peel well and that’s the problem I need solved. When I do the eggs like this, they actually peel perfectly fine. I peel my eggs by cracking them against the sink and then peeling them under cold water. It never fails! Wow, who knew? This does seem to be one of those things that people have a variety of “tried and true” solutions for. Do the shells crack? Wondering if it would work for Easter egg dying…?